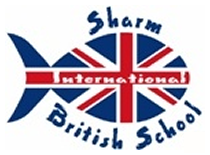 Sharm International British School provides a high quality education for students aged between two and eleven years old, in a stimulating, caring and quality learning environment. We teach the full English curriculum (English, maths, science etc) with the option of Arabic and Islamic studies. Instruction through the school is led by fully qualified and experienced teachers from the UK, who are English native language speakers, supported by teaching assistants. Pupil numbers in each class are small, providing excellent teacher to pupil ratios, allowing us to maximise teaching time and meet the needs of individual children. Moreover, our specialist teaching of languages, music and PE ensures that the pupils benefit from the highest levels of input at all times. The school is registered, under the name of the Sharm el Sheikh Society for Cultural Care, with the Egyptian Ministry of Social Affairs as a non-profit entity.